And how you can prevent it going all wrong.. Backup is the term used for saving extra copies of your files or data to another disk. This could be a USB flash drive, external hard-disk, CD/DVD discs, or Internet based cloud storage. Just like a microwave or TV, your computer can fail. Sometimes after many years of use, sometimes the week after you buy it. Depending on the failure, your files may not be recoverable. Theft, fire, flood, or accidental deletion of files could render your financial data, family photos, music, or any other files inaccessible. How do I make good backups? Good backups are about having any important data in two or more places, and can be as simple as plugging in a flash drive and copying your photos onto it. Think about all the things that could potentially go wrong, and determine how you can protect your data. 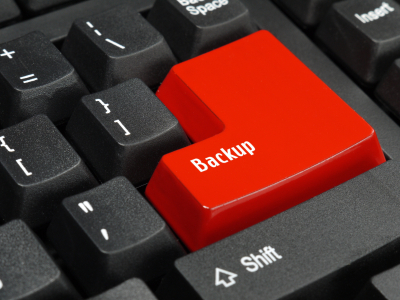 Good backups are a balance between expense, convenience, number of copies, how often you backup, and what you consider important enough to backup. Its best to store a backups in different locations, fire will destroy both copes that are in a single place, thieves will steal both. You can do this by periodically making a backup on to an external HDD or flash drive, then storing it at a trusted friends place, or use online backup software to automatically back up your files to a secure Internet service. Remember to check occasionally that you can access backups by taking them to a friends computer (or another system you own) and make sure you can see all your files on the drive. What is important to backup? Think about what would happen if your computer was stolen, what data would you miss? Photos? Documents? Music? Moves? Financial data? That should give you a guide as to what needs to be backed up. Think about how much time it would take to recreate your files if you lost them, compared to the effort required to backup. For businesses usually daily or weekly, for personal data, weekly or monthly will normally suffice.